SW Fashion: Hope your Christmas was AB FAB. Hope your Christmas was AB FAB. So having spent three days eating nothing but chocolate hazelnut cake and trifle, I am in hiding due to pure shame (I joke... I have left my cave of food and television). However, I am now ready for blogging and to start thinking about the year ahead. 2011 has been a bit of a turbulent year, but starting at university has changed a lot of things for the better and 2012 is looking very exciting and promising. 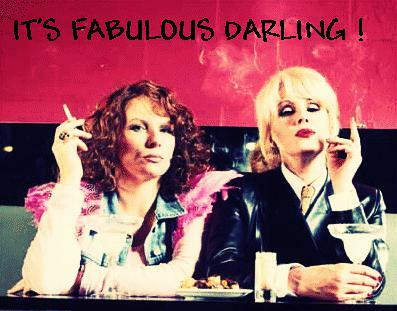 And there is still something to look forward to... MORE AB FAB ON NEW YEARS. Hope you are all having a lovely relaxing time, and are coping just fine in the manic sales!